Special memories deserve a beautiful storage place! Do you also enjoy the occasionally viewing of photos of special moments such as the birth of your child, your wedding, or that special holiday in France? Or do you like to take out your precious memorabilia from the past of which you cherish precious memories? But you just don't have the right place to keep them in? 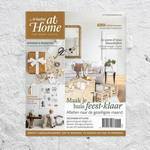 Then 1000en1boeken is the right place to turn to. At 1000en1boeken, all products are still hand-bound using traditional methods and are crafted with the finest (vintage) materials. Any product, such as a marriage certificate, album or storage box is carefully handmade. Marriage certificate books: is it no fun to choose from the "boring" marriage certificates books at the Dutch municipalities? Want something trendy in cool colors? Curious? See the marriage certificates books. Photo albums: Are you looking for a unique hand bound photo album? 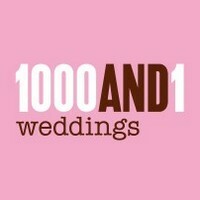 At 1000en1boeken you will find photo albums for life! Crafted with paper holding FSC and Eco labels, (vintage) ribbon and acid free translucent paper in soft tones. Look at photo albums for the possibilities. Storage boxes: Do you want to keep your photo album in a box? Are you looking for a storage box for your precious stuff to keep? A box that is so solid and beautiful that your stuff and / or album will last a lifetime? Look in boxes for inspiration and possibilities. Picture frames: Bored with the "standard" frames? Do you want an original picture frame you can open up nicely, but that is also like a beautifully book that can be saved for later? Please have a look at the picture frames. CD / DVD booklets: do you want to keep a CD or DVD with your favorite memories besides having a secure backup in the cloud? With a tag this CD / DVD booklet becomes even more special!